Shaving can be a mundane and tiresome task, especially when you can’t find the right shaving cream. Whether you’ve got sensitive skin, acne-prone skin, or just simply have coarse hair, it can be hard to find a shave cream that does the job right.  We’ve done our research trying to find the best shaving cream for women, looking at a wide variety of factors, like skin type, ingredients, customer ratings, and effectiveness. That way, we’ve taken all the guesswork out of finding the best shaving cream for women, by providing 10 options you can browse through. This 16 oz. shaving lotion is perfect for women with sensitive skin. Luxxx Beauty uses ingredients like vitamin B5 and allantoin to help minimize razor bumps, irritation, and ingrown hairs. Their light formula also has a lovely, light scent that keeps your skin feeling clean and fresh. 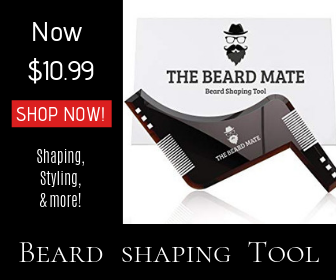 Customers rave about its ability to cure skin irritation and razor bumps. Not only do they love the way it treats their skin, but they also love the way it leaves their skin completely smooth. Luxxx Beauty’s shave lotion can be used by all women, but is recommended most to those who have sensitive skin. It can be used on any part of the body, including legs, arms, and the pubic area. Note: The Luxxx Beauty shave lotion is not available at the moment. Until it gets back on stock, you may want to take a look at this great alternative from Honeysuckle also made for the intimate area. While EOS may make a few different types of shave creams, this one is by far a customer favorite. While it comes in a relatively small bottle (7 oz. ), it goes a long way. It has a lovely vanilla scent, and contains tons of ingredients that are perfect for moisturizing the skin. 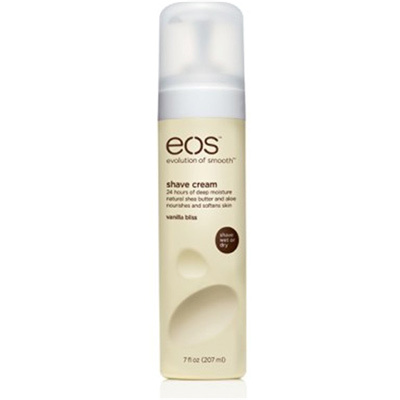 EOS also uses antioxidants in this shave cream, to help boost your skin’s radiance. The ingredients aren’t even the best part. 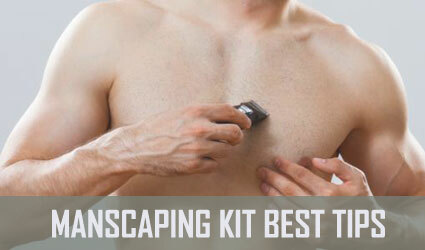 This particular product can be used to shave with on both wet or dry skin. While it can be used on the face by men, it is best used on other parts of the body, like the legs and arms. Instead of a lather, this lotion-like shaving cream works itself into a luxurious conditioner for the skin. Shaveworks uses the best ingredients to create a wonderful scent of lavender, ginger, and vanilla that customers can’t stop talking about. Shaveworks uses no harsh chemicals; instead using antioxidants and botanical extracts to create a shave cream that has stupendous moisturizing abilities. The scent of this shave cream is floral, but light and feminine. It’s meant to be used by women with any skin types, and has tremendous effects on coarse hair. It is safe to use on any part of the body. Trader Joe’s doesn’t disappoint in this decent-sized 8 oz. bottle. They combine ingredients like vitamin E and aloe vera to create a fan-favorite that not only moisturizes, but also lubricates the skin. It helps prevent nicks, cuts, and irritation as well. The vitamins used in it help moisturize all day long, and provide lasting comfort. While the shave cream is safe to use by both men and women, it is women who tend to use it more often. It can be used by women with skin allergies or sensitive skin, which is why many of them consider it the best shaving cream for women. 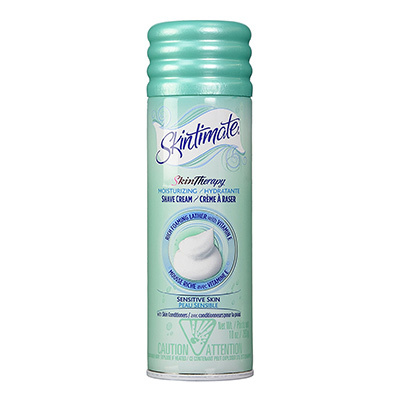 Skintimate certainly provides one of the largest bottles of shave cream on the list, at 10 oz. 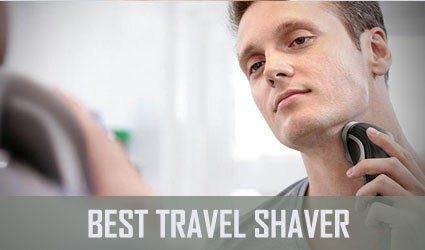 They also happen to be one of the most reliable brands of shave cream out there. They use special vitamins, emollients, and 8 special conditioners to make the shaving cream perfect for a woman’s skin. This cream is geared towards women, but may not be suitable for those with sensitive skin, as it doesn’t use all-natural ingredients. If you don’t have any skin sensitivity, this shave cream provides a moisturizing, close shave. There’s no way we could have a best shaving cream for women list and not add this one to it. It contains a 3-in-1 formula that works perfectly to lubricate and moisturize the skin pre-shave, during shave, and post-shave. It’s perfect for sensitive skin, containing eucalyptus, ginger, and essential oils. It can be used without water, and there’s never any need to later, rinse, or wash. Not only is Busy Beauty’s showerless shave gel perfect for any woman, it’s essential for the woman on-the-go, who doesn’t have time to shave, who likes to travel, and who has sensitive skin. 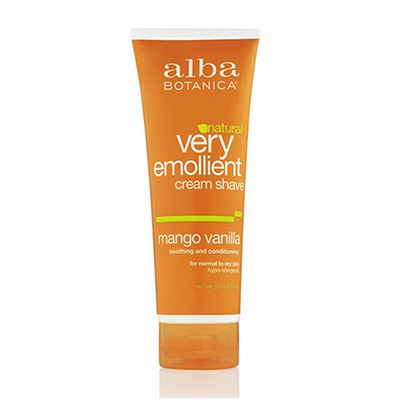 Alba Botanica created a natural, soap-free shave cream that is hypo-allergenic certified. They use ingredients like lavender, vitamin E, and aloe vera to fight against irritation and dryness. 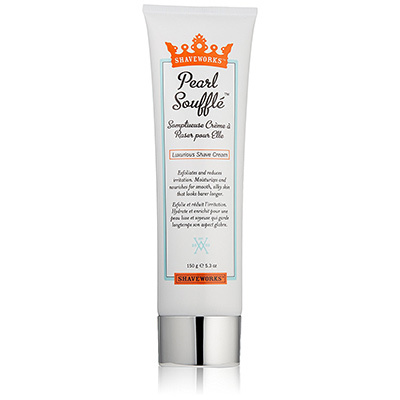 The company prides itself on its cruelty-free, vegan products, like this shave cream. It comes in a middle-of-the-road sized bottle at 8 oz., and much like the other creams on the list, it goes a long way. It can be used by women with all sorts of skin types, but it’s perfect for women with dry/irritated skin, or those with allergies. It is safe to use on any part of the body. Customers love that this shaving cream is fragrance-free, because that means less irritation on sensitive spots. There are absolutely no sulfates or harsh chemicals used in it, and it’s also cruelty-free. The company uses ingredients like allantoin, keratin, and jojoba oil to lubricate, moisturize, and heal skin. The cream’s special formula of ingredients blends perfectly into this 8 oz. bottle, creating one of the best shave creams for all skin types. 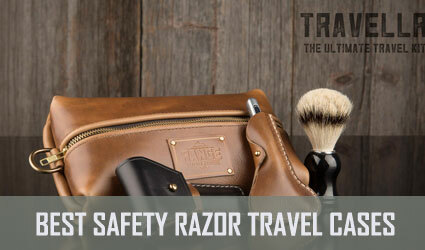 It conditions the skin, protects against razor bumps, and helps amp up your razor’s performance. If you’re looking for the perfect mixture of the beach and the spa, this is the best shaving cream for women you can try. It smells like you’ve just spent hours tanning at the beach, while the formidable formula does wonders for your skin. The bottle may be on the small side, but this shave cream goes a long way. Customers love that the cream only includes the best, most natural ingredients like aloe, fruit extracts, and oils. 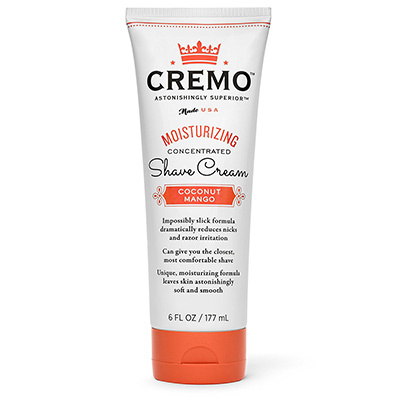 Cremo’s Moisturizing Shave Cream is perfect for women with normal to sensitive skin. Those who tend to have more oily skin may find that this particular product provides too much moisture. 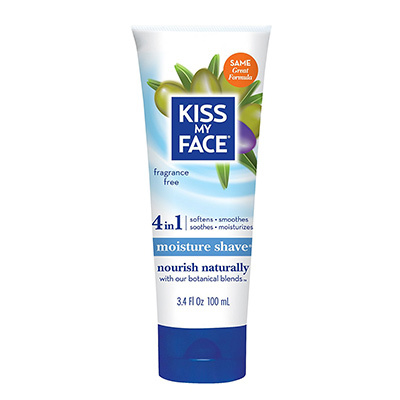 Kiss My Face makes multiple shaving creams in both travel and large bottles. This 4-in-1 shave cream is fragrance-free, so it’s perfect for less irritation. The lotion contains a special ingredient named soapwart, which provides a rich lather, and is effective against acne. This special cream even includes ingredients that act as antiseptics and healers. The peppermint in the cream helps cool and soothe the skin, while the lather helps the razor blades grip to your hairs for a close shave. It’s easy to see why customers view this one as the best shaving cream for women. Women with all skin types can use it, but it’s ideal for acne, allergies, or skin conditions. It’s hard to declare a true winner of the best shaving cream for women title. Each cream has its own benefits, effective ingredients, and works best for certain skin types. Luckily, this means there’s a best shaving cream out there for everyone. If you think one of these products could be perfect for you, give it a try and let us know what you think! Which one is your favorite?